Missouri Attorney General Josh Hawley, a Republican candidate for Senate, announced Tuesday that his office may have found evidence of a felony by GOP Gov. 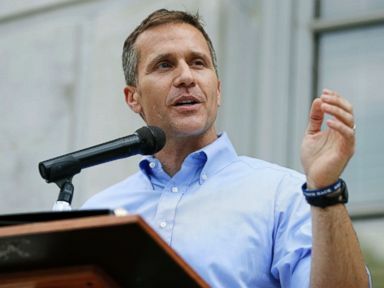 Eric Greitens in an investigation involving a veterans charity founded by the governor. “We uncovered evidence of wrongdoing that goes beyond Missouri’s charity laws,” Hawley said. “We have obtained evidence of potential criminal violations” committed by Greitens. The governor denied the allegations. Hawley said his office found evidence Greitens obtained an electronic donor list without permission from The Mission Continues charity he founded and used that list for political fundraising as he was preparing to run for the governorship. Greitens started the organization in 2007 but left it in 2014, before he ran for governor. The value of the list makes it a felony charge of computer tampering under Missouri law. But the attorney general, who is challenging Democratic Sen. Claire McCaskill for her Senate seat, won’t be leading the prosecution. He said the jurisdiction in the case lies with the St. Louis circuit attorney, Kimberly Gardner, and the decision to prosecute is hers. 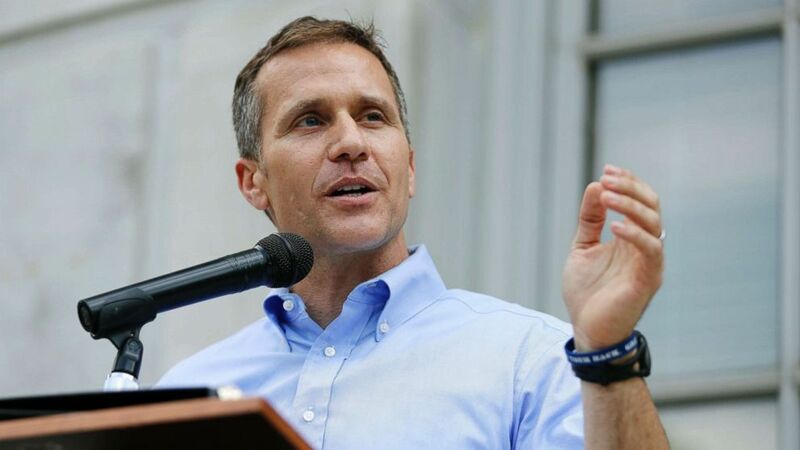 The attorney general’s office has turned over the evidence to both her and to the Missouri House Special Investigative Committee on Oversight, which is also investigating Greitens’ relationship with The Mission Continues. She said should couldn’t comment on when a decision would be made on whether or not to prosecute. “We will dispense with these false allegations,” Greitens said in a statement. Hawley and McCaskill are two of many Missouri officials who called for Greitens to resign after the state house committee released a bombshell investigative report last week detailing an alleged nonconsensual sexual encounter with his former hairdresser. He is refusing to resign and is fighting back hard on all allegations. 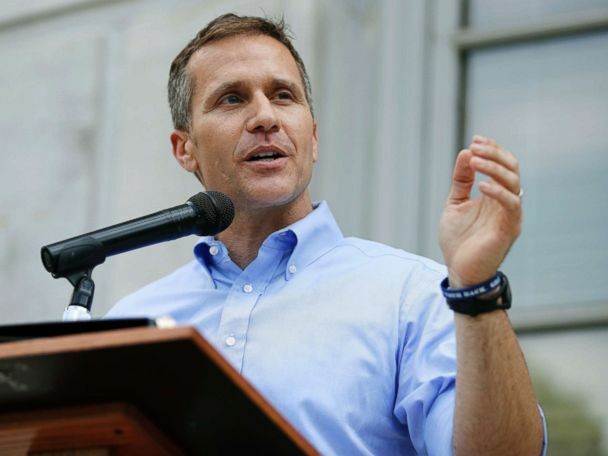 The governor’s attorney has called on Hawley to recuse his office from investigating his former charity because the attorney general has called on Greitens to resign. Hawley was also asked about charges he was conducting this investigation for political reasons to help his Senate campaign. “I’m doing my job and my job is to enforce the laws of Missouri and to protect the people of Missouri,” Hawley said. “I’m going to go on doing it no matter who criticizes me or tries to intimidate me. This office will not be intimidated and we will not be deterred,” he added. Hawley is in a tight Senate race with McCaskill, who is seeking a third term in office. McCaskill’s campaign criticized Hawley as incompetent for taking so long to pursue the investigation. “We’re glad that Hawley has come out of hiding to acknowledge the existing evidence of criminal behavior of the Governor. However, the sad truth is that this shows gross incompetence on the part of the Attorney General. The evidence in this case has been publicly available since October 2016 – what excuse could Josh Hawley possibly have for failing to pursue an investigation and allowing this evidence to languish for over a year?” said McCaskill campaign communications director Meira Bernstein in a statement. 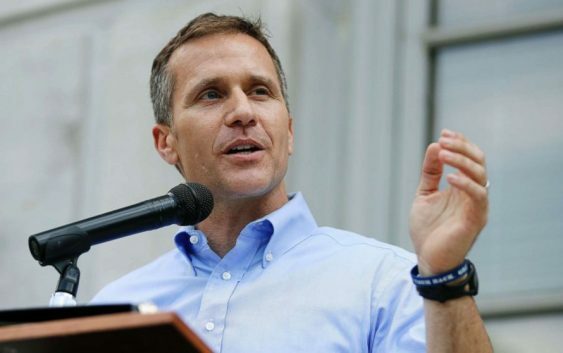 There are multiple on-going investigations against Greitens – including two by Hawley’s office – and an upcoming criminal trial being led by Gardner. “In 32 days, a court of law and a jury of my peers will let every person in Missouri know the truth and prove my innocence,” he said in a statement last week. His attorneys have made a motion to dismiss the criminal case. A St. Louis judge will rule on that motion on Thursday. In addition to the charity investigation, Hawley’s office investigated the use of the text-destroying app Confide by Greitens’ administration. The attorney general’s look into the use of the messaging app found that Greitens’ staff did not violate records laws. There were concerns the use of the app, which deletes messages and prevents recipients from saving them, went around the state’s open record laws. His investigation into the governor’s former charity, The Mission Continues, is ongoing. Hawley said on Tuesday he turned over evidence to the St. Louis circuit attorney because the statute of limitations will go into effect soon but he declined to give a specific date on when that would occur. Meanwhile, a bipartisan investigative committee of the Missouri House – comprised of five Republicans and two Democrats – has been looking into allegations of wrongdoing against Greitens. They released the bombshell report on the governor’s relationship with his former hairdresser last week. The committee is expected to release a second report in the near future focused on the charity. Statehouse officials have also said they could hold a special session after the regular legislative session ends in May to focus on the impeachment of the governor. ABC News’ Allison Pecorin, Andrew Fies, and Katie Bosland contributed to this article.